As Americans look to celebrate the July 4th holiday next week, staff at Colonial Williamsburg, “the world’s largest living history museum” which highlights the colonial past, will be focusing on the institution’s future. An underlying problem for the foundation, and one that might come as a surprise to the nonprofit community, is that since its creation in 1983, the Colonial Williamsburg Company, the foundation’s for-profit arm, has not been profitable. The foundation’s reliance on its endowment for the last few years to offset the company’s losses has resulted in growing concern for the institution’s sustainability. Reiss indicated that there has been an ongoing concern at the foundation that donors would stop giving out of a sense of fear that the endowment was headed for insolvency. With the foundation’s current restructuring, Reiss says that the endowment, currently at $684 million, will be secure by 2019. According to its website, Colonial Williamsburg’s mission is “to feed the human spirit by sharing America’s enduring story.” The foundation’s 2015 Annual Report notes the “serious change” impacting the foundation, with younger Americans not seeing the institution as relevant and families having less time and money to spend on vacations. 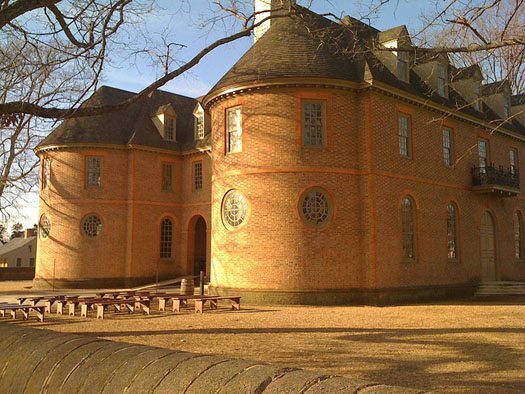 In response to these external challenges, Colonial Williamsburg, like nonprofits everywhere, renewed attention to advertising campaigns, social media, and fundraising. For a variety of reasons—business decisions made in years past, less American history being taught in schools, changing times and tastes that cause us to attract half the visitors we did 30 years ago—the Foundation loses significant amounts of money every year. He adds that in 2014 specifically, the foundation lost $62 million, or $176,000 every day, an amount he calls unacceptable and unsustainable. Reiss also explained that since 2001, the foundation has been withdrawing as much as 12 percent of its endowment annually, far beyond the five percent norm to which many nonprofits try to adhere.